Extensively updated content from expert authors clarifies the latest research and clinical findings on pain, the nervous system, toxicology, BVD, malignant catarrhal fever, bluetongue, and strong ions. Vaccines and vaccination protocols keep you up-to-date with the information you need to prevent newly emerging diseases in large animals. 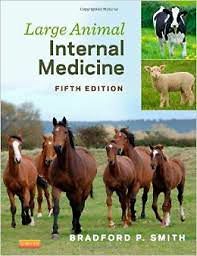 Expanded coverage of the veterinarians role in animal welfare; equine abdominal ultrasound; DNA, genetic, and PCR testing; and colostrum supplements and replacers supplies you with the most current large animal internal medicine information. Current information on foreign animal diseases dangerous to large animals in the US, including coverage of rinderpest, keeps you aware of diseases that can be transmitted from other countries.